Hard Play Fishing Charters was founded in 1989 by Capt. Gerard "Frothy" de Silva. During our existance, the Hard Play team have been catering to visitors from all over the world, enjoying some of the Caribbean's best fishing around beautiful Tobago. Together with his wife Teija they have established one of the southern Caribbean's most reputable charter fishing operations. Team Hard Play have been pioneers in catch and release fishing in Trinidad & Tobago and the southern Caribbean. With over 2,000 Billfish releases from our boats. We are very proud be associated with the conservation of Billfish in the Caribbean region. Captain Frothy has unmatched tournament records in the Southern Caribbean and is the founder and president of the Tobago International Game Fishing Tournament and president of the Southern Caribbean Billfish Circuit. 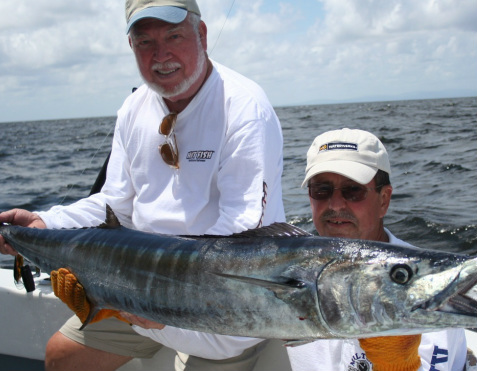 Captain Frothy is an IGFA Certified Captain and an IGFA representative for Tobago as well as an IGFA certified observer. Hard Play Fishing has been featured on ESPN, Discovery Channel, Travel Channel, WFN World Fishing Network and many other international fishing tv shows. Also featured in Marlin Magazine, Saltwater Sportsman, Sportfishing Magazine and much more.